Adam Binder has become one of Britain’s leading wildlife sculptors. 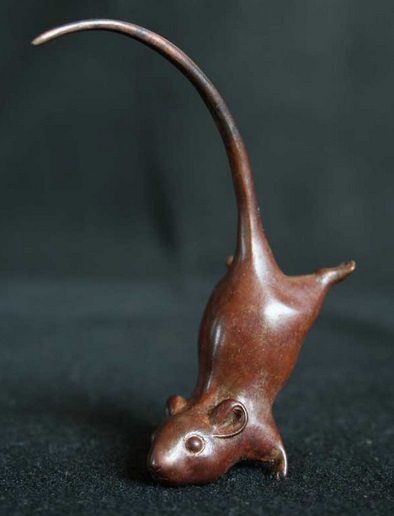 His initial range of mainly animal themed carvings in resin and his more recent sculptures in bronze, have made him one of the most popular collectable designers. 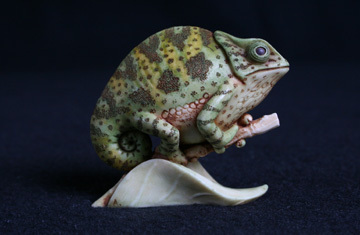 Adam Binder won the David Shepherd Wildlife Artist of the Year in 2010, and was elected a Member of the Society of Wildlife Artists in 2011. Adam Binder has once again surpassed himself by releasing a prestigious new range of bronze and silver sculptures. Always looking to provide diverse fresh ranges to entice collectors Adam’s new exciting works of art are living proof of his exceptional talent as a serious British artist. Launched at a gallery style exhibition in June, his loyal followers from around the globe gathered to admire the work that has now taken Adam Binder Editions into a whole new direction. A lifelong dream finally realised for Adam, it has only been made possible due to a chance meeting at the Collect it! Fair in October with Dinsdale Petch, a fellow artist and Foundry Master. Equally as passionate, Dinsdale shares the same values and principals as Adam and so their collaboration was the perfect partnership, which has resulted in the creation of these stunning high-end market bronze and silver sculptures. In keeping with Adam Binder’s already successful resin wildlife inspired carvings, each individual bronze sculpture has to undergo 16 complex processes from the initial carving of the piece to the finished product. The work involved for each piece can take weeks depending on the intricacy of the bronze carving but the final result is stunning. At the exhibition there were many varied pieces on show, some were high-end market sculptures, which reflected in the price, whereas others were smaller more affordable pieces. Unsure as to how collectors’ would react to this new range, there was no need to worry as they were delighted and showed their appreciation of the new art forms by spending copious amounts of money. The most popular designs were the bronze Seals limited to just 12 pieces and retailing at £1,395, the “Puffin” again with only 12 available costs £1,150, but my personal favourite was the “Horse.” A stunning stylised modernist piece, it retails at £2,100 but is worth every penny as it is far from just a collectable but a major piece of modern art. I of course had to purchase one and can’t wait to see it displayed, knowing it will be a major talking piece as well as hopefully appreciating in value in years to come. If these are still a little too expensive for your pocket then there is a whole range of small bronze palm charms available. The prices start from £75 each with the “Long Eared Bunny” being £120. A popular range collector’s clambered to choose which ones they wanted, with the bunny being extremely popular. Aside from the bronze range Adam Binder Editions have also released a silver sculpture series. The event piece was a sterling silver “Tree Top Tag” which is limited to 50 pieces as it could only be ordered at the exhibition. The original of this iconic sculpture, serious Binder collectors will remember, as the resin carved “Tree Top Tag” that was released in 2002 for £34.95 and now commands as much as £600 on the secondary market, so this sterling silver example is sure to follow suit. Another new direction for Adam Binder Editions is a series of sterling silver charms. Not only perfect for display and collecting purposes but also form a contemporary designed jewellery range. Each charm can be worn on a chain as a necklace and pendant or buy them all and create an innovative and individual charm bracelet. Each silver piece carries the London Assay mark, date letter, maker’s initials and the fineness mark 925 for sterling silver. Adam explained to me that he takes his work very seriously “I never went into art as a business but as a passion, I enjoy what I do and am so pleased with the positive reaction from collectors to my new style.” Adam also said that he still plans to release resin sculptures to his loyal collector’s base but also wants to concentrate on expanding the prestigious bronze and silver pieces. A statement I encourage because these sculptures not only have impact on Adam’s growth as a serious artist but also on the collectors industry as a whole.